Lining the cavity to protect the tooth pulp: what’s the evidence? Tooth decay is the most common disease affecting children and adults worldwide. If left untreated, acid produced by bacteria in the dental plaque or biofilm forms cavities or holes in the teeth. A number of techniques and a variety of materials can be used to restore or fill teeth affected by decay. One of these materials is tooth-colored, resin-based composite or RBC. This material is increasingly used as an alternative to amalgam (a mixture of mercury and metal alloy particles). Since the 19th century liners have often been placed in cavities in the teeth under the filling material. The liners are thought to protect the living pulp of the tooth from filling materials themselves and also from their potential to allow more heat or cold through than the natural tooth would. Although RBC filling materials are thought to be similar to the natural material of teeth in terms of how they conduct heat, sensitivity to temperature change is sometimes still an issue for people after treatment. The Cochrane Oral Health Group has launched a new section of its website to make evidence more user-friendly. Making sense of the evidence for oral health decision making takes topics in dental health and links to the Cochrane plain language summaries of relevant reviews. The first topic area is tooth decay, or dental caries. Do fluoride varnishes work? What strength of toothpaste should you use on your child’s teeth? Do plastic sealants prevent decay? All these questions and more are answered. Look out for more topic areas, coming soon! A new review, an updated review and a new protocol from the Cochrane Oral Health Group were published in the Cochrane Library in September. Follow the links for more! This review considers the effectiveness of fixed braces or removable retainers for managing relapse of lower front teeth after orthodontic treatment. Maintaining lower front teeth in the corrected position after orthodontic treatment is an important problem. However, this review found that there were no clinical trials which considered this question and that there was no evidence to support using one form of treatment for managing relapse over another. An updated search was conducted for this review, which considers the beneficial and harmful effects of long tooth implants passing through the sinus and into the cheekbone, as an alternative to procedures designed to build up missing bone in the jaw (such as bone grafting). No trials were found that compare zygomatic implants with conventional bone grafting. Dental caries affects 60-90% of children as well as the majority of adults. This is a protocol for a new review which will examine whether xylitol – a sugar substitute – can help to prevent tooth decay. In this review we are specifically interested in xylitol-containing gels, toothpastes, varnishes, mouthrinses, chewing gums and sprays. This review will be undertaken by a team from Manchester, UK and Dundee, UK. It will consider the effectiveness of toothpastes containing triclosan for the management of gingivitis. This review will consider whether administering pre-natal fluoride will prevent dental caries (tooth decay) in children. It will be undertaken by a team from Japan. We look forward to publishing both protocols in due course. New edition of the Cochrane Library is out today! A new edition of the Cochrane Library has been published, and features one new review and 5 new protocols from the Oral Health Group, a bumper month! This review looks at whether antibiotics, given to dental patients as part of their treatment, prevent infection after tooth extraction. There were 18 studies considered, with a total of 2456 participants who received either antibiotics (of different kinds and dosages) or placebo, immediately before and/or just after tooth extraction. Do they do more harm than good? Follow the link to read more! This is a protocol for the Oral Health Group’s first review of diagnostic test accuracy, a new area of research for the Group. The objective of this review is to estimate the accuracy of the conventional oral examination (COE) used singly or in combination with another index test as a screening test for the detection of oral cancer and potentially malignant disorders (PMD) of the lip and oral cavity of apparently healthy adults. A protocol for a new review. 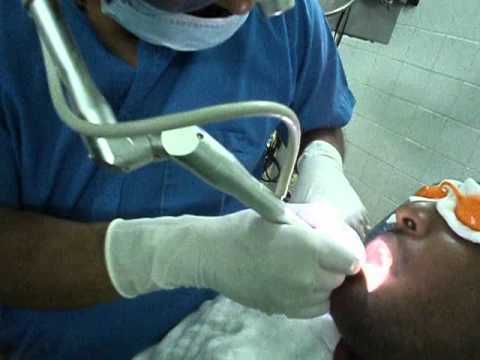 The aim is to assess the clinical effects of various materials and techniques for alveolar ridge preservation (ARP) after tooth extraction compared with extraction alone and/or other methods of ARP for patients requiring oral implant placement following healing of extraction socket. 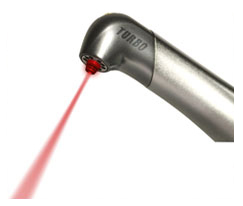 This protocol is for a new review which will compare the effects of laser-based methods to conventional mechanical methods for the removal of dental caries in deciduous and permanent teeth. Protocol for a new review. The aim is to evaluate the effects of xylitol (consumed by mothers) at reducing tooth decay in their children compared with alternative treatments (e.g. chlorhexidine, fluoride varnish, placebo, or no treatment). This new protocol is for a Cochrane review which will assess the effects of different types of orthodontic treatment for bimaxillary proclination particularly their impact on occlusal results, facial outcomes and patient experiences. There is also an editorial on Measuring the Performance of the Cochrane Library. Issue 3 of the Cochrane Library for 2012 is out today and features 1 new review, 1 review update and 2 new protocols from the Cochrane Oral Health Group. This new review assesses the effectiveness of one-to-one dietary interventions for all ages in a dental care setting. Five studies were included, and the review concludes that there is some evidence that such interventions can change behaviour, although the evidence is greater for interventions aiming to change fruit/vegetable and alcohol consumption than for those aiming to change sugar consumption. 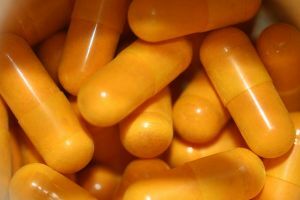 The search has been updated on this Cochrane review, which aims to evaluate the efficacy of conscious sedation agents and dosages for behaviour management in paediatric dentistry. 36 studies were included with a total of 2810 participants. The review found that there is some weak evidence that midazolam administered in a juice drink is effective, and that nitrous oxide (laughing gas) may also be effective. This review will look at anaesthesia to manage pain, and in particular the type, dose and method of administration of local anaesthetic given during dental treatment under general anaesthesia. This is a protocol for a new Cochrane review, which will examine the effectiveness of non-fluoride remineralising agents for preventing the development or progression of dental caries when compared to placebo or no treatment or topical fluoride. These agents include any containing any formulation of calcium or phosphate. Other highlights of Issue 3 of the Cochrane Library for 2012 include an Editorial on improving outcomes in gynaecological cancer, Interventions for preventing obesity in children (including Journal Club materials) and Pain management for women in labour: an overview of systematic reviews.